As a new gardener, you will want to see results faster so that you know all of your time and effort isn’t being wasted. This can really help boost your confidence and get you even more excited about growing your own garden. The best part is that there are vegetables that don’t need a lot of growing time for hot and cool seasons. So if you want to plant in the spring or the fall, you can find the fastest growing vegetables for fall or summer. I love spinach, although I have never tried growing this yet. It usually takes around 35-40 days for the baby leaves to be ready to pick. These are great for salads! You will have to wait a little bit longer if you want the full head of spinach to be ready though. 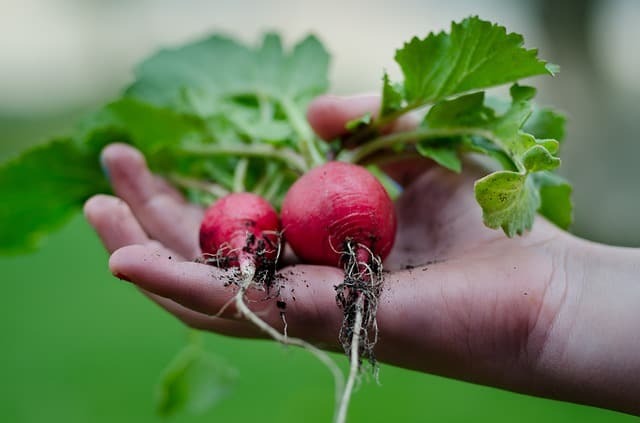 Radishes will be ready for harvest between 20-25 days. The Cherry Belle variety is the easiest radish to grow if you are a beginner gardener. Like spinach, arugula is a leafy green that is very easy to grow and can be ready in as little as 21 days. It can be grown in window boxes as well as in gardens. If you like Italian food, this is a must have. 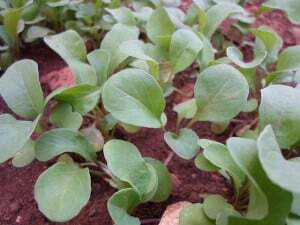 Arugula is really easy and fast vegetable to grow from seed. These are a favorite among many gardeners. Snap peas are really sweet and once you try one straight from your garden, you will never want to eat a store bought one again. Snap peas are ready for harvest around 56 days. Peas are also great for the soil once they die off and provide nitrogen for the other plants around it. Green onions are really easy to grow and they are ready to be harvested around 3-4 weeks. 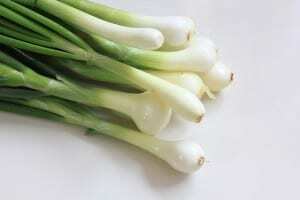 You can actually buy green onions at the store and cut off the bottoms to replant them in your garden! Cucumbers can be harvested within 50-60 days from planting. They love to be in the sun and need ample room to grow. Make sure to pickle the ones you won’t use right away. I love me some pickles! 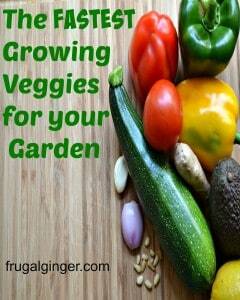 These are my favorite fastest growing vegetables for your garden. There are others that you can grow but I think these are the most common and the easiest to grow. If you are a beginner gardener, I highly suggest trying some of these. 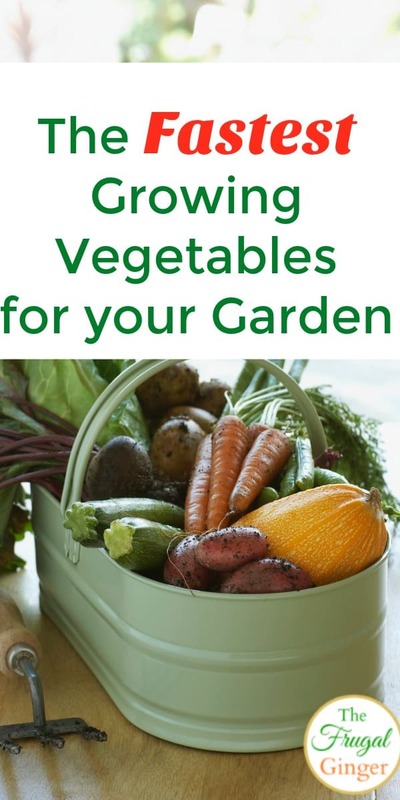 You can grow them in containers or a regular garden bed. You can also check out my post for frugal ways to save on preparing your garden to help you get started if you are on a budget. Great ideas here! thanks for linking up today at Sunday Sundries! This is awesome and really good for the beginning gardener to know! Thank you for sharing it at the #SmallVictoriesSundayLinkup! Radishes come up so quickly! We also like to “cheat” and use celery and lettuce trimmings from the grocery store as starters. I’ve pinned and featured your post, thanks for sharing at #SmallVictoriesSundayLinkup …hope to see you again this week!